Automotive Industry pundits are speculating that PSA Peugeot Citroen’s new Dacia-rivalling entry-level brand might be either a re-born Simca or Talbot. The company has kept strong tabs on its dormant brand portfolio with both of those monikers being heavily registered in a similar vein to the BMW Group’s ownership of British Leyland legacy marques such as Riley and Triumph. However, the World Intellectual Property Organisation (WIPO) has confirmed that, while Simca has legal protection as a trademark across five Continents, Talbot’s name and logo have only local legal recognition. 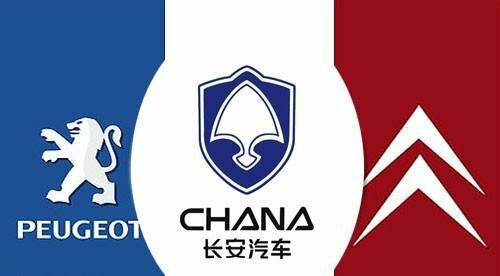 PSA Peugeot Citroen has recently completed a JV with a major Chinese OEM, Chongqing Changan Automobile Company Limited, and that must, at least, raise the prospect of the mooted new entry-level brand’s products being assembled in China. Interestingly, Gales also suggested that PSA Peugeot Citroen might dispense with a Dealer Network if the company eventually decided to go ahead and launch the new brand of low-cost vehicles and could simply rely on the Internet as its key sales and marketing tool. Rootes Group historians will recall that the Ryton-built Peugeot 309 model was almost born as the Talbot Arizona (above), so could we be looking at a new Horizon any time soon? I truly hope they don’t call it Talbot. Talbot should be a premium brand in the mould of the British Roesch Talbots and French Lago Talbots. However, I could probably live with Simca. I really think, though, that most of dead brands in PSA’s portfolio have been dormant too long to mean much to the person in the street. They may as well just create something from scratch rather than damage an historic brand. Mind you, I’m still mortified by what SAIC Motor is doing with MG. These new MGs, if they must carry a British brand, should be Austins or Morrises. I’ll have a new Simca 1000 Rallye please – in green and black. A re-launch of either the Simca or the Talbot would make sense. Let’s just hope that, if they reach these shores, they aren’t bad cars. The 1970s offerings were truly awful cars and, thankfully, few survive. I can remember being woken up in the morning by a neighbour’s tappety Horizon! I imagine PSA will use Simca brand as this has the most significane in France, where Dacia are making huge inroads into PSA sales. The big question is surely whether the cheaper brand will, like Dacia and Renault, be better made than the more expensive ones. Yes, of course it is! I wouldn’t mind betting that is all 99 per cent of those in the UK who still remember Talbot know of it. Ask someone at random to name a Talbot and they’ll say Horizon or Solara – not a 105 or 8-18. It’s only car bores like us who know anything about Talbot’s distant past. We can dream… they could raid the Rootes Group’s back catalogue: Hillman, Humber, Singer and Sunbeam etc.. Citroen also have Panhard. However, my money would be on Simca as car names ending in vowels sound good in most languages. Let’s hope they leave out the tappety engines LOL. Simca will have considerable brand equity in the majority of Europe and the name suits a budget brand. We can dream… they could raid the Rootes Group’s back catalogue: Hillman, Humber, Singer and Sunbeam etc.. Citroen also have Panhard. They don’t – I thought the same, but it’s making military bits and bobs. Names from the past – I remember Simca and Talbot well and Panhard from the “Observers Book of Automobiles”. Simca would, perhaps, be the most appropriate branding for a budget car. Talbot reminds me of the renamed Chrysler UK range, not the earlier heritage cars. Let’s go with Simca. Simca could be short for SIMple CAr in our revisionist world. I’d be all for that – the trouble is that, in reality, it won’t be a simple car. What I’d like to see (but never will again) is a proper, base spec car of old, with manual everything. Nowadays, even cheap Hyundai’s have electric front windows, rev counters, electronic stability programme, etc. I remember thinking my first car with an automatic choke was a bit faddy! It’s been a long time since these names disappeared, but would it do PSA Peugeot Citroen any good to revive them on a product whose quality might not yet be up to scratch? Remember that, in the case of Renault and Nissan with Dacia, that brand had remained active in Romania over the years. Dacia was a brand associated with crappy, warmed over Renault 12s but has effectively been relaunched as a “new” entity with the current range. I don’t see why Simca or Talbot could not do the same for PSA. Simca for me! Sounds right as commented, perfect. Talbot? What does it stand for these days? When it came back in 1979/80, I was a 16 year old car nut but I wasn’t really aware of its past. I suppose I might have been had I lived in France. Simca is a damaged brand by association with the failure of Talbot. Both are about as important today as Austin or Morris and Simca, in particular, means very little outside France. Do non-French 16 year olds (or 30 year olds with buying power for that matter) have any recollection of it? I think it’s a blank canvas – they can choose any name they like because they’ll more or less have to build it up from scratch. That’s SAIC Motor’s big advantage with MG – it still means something. However, if PSA are going to choose one of their old brands, I’d go with Sunbeam -sounds neat, cheerful, marketable. Besides, most Europeans will understand what it means because most Europeans under 40 speak decent English. Talbot has negative connotations for me at nearly 50, Simca less so. Sunbeam conjures up memories of Alpine roadsters with big V8s, the “arrow” Rapier and the Lotus Sunbeam – none of them “entry level”. Talbot, probably… No, actually the most unreliable car I have ever known was my parents’ Talbot Alpine, which visited the garage on a weekly basis and then began to dissolve at a rate that even Fiat would embarassed about. They also once had a Talbot Avenger which, if I remember correctly, was actually a good car – it was much better than the Morris Marinas and Vauxhall Vivas of that time. Simcas remind me of rattly, cheap and square boxes and mean little to me as a brand. Both Simca and Talbot were driven (metaphorically) into the ground by PSA in the 1970s, with either dated, tinny product or just poorly developed, tinny product with bad tappets and suspect interior trim (I’ve been looking at the brochures for the Talbot Avenger!!). Better let them lie dormant. Instead of dredging up an old brand, why not invent a new one? That didn’t do the likes of Acura or Lexus etc. any harm!! Talking of cheap new cars, I think FIAT are making a cheap saloon in Turkey – but it has two-tone dash, white dials like an MG Z car and full colour coding. That probably looks a bit better than bargain basement… Not sure what its build quality will be like though. Do they still do a range of cars for South America like a old Fiat Regata and a 1980s Uno? I would say that the best business decision would be for PSA to acquire and develop the Ligier brand. It has F1 kudos and is well-known as a manufacturer of small, cheap cars in France. Great minds think alike… See the second paragraph of my Post #2 above – I have now changed the original italics to capitals. My dad used to have a Talbot van years ago – I remember it well. It would be nice to see them back. I don’t now much about either company really. Talking about vans, the Maxus brand has been launched in China with a new arrow-shaped logo which looks good – if only LDV had done the same. Yeah, I’m sure that would have made all the difference! Talbot doesn’t have any negative connotations for me other than the noisy valve gear on the Simca-derived engines. I ran a Chrysler Alpine 1.3GL as my first car and, some time later, had a Talbot Solara 1.6 SX. Both were reliable, comfortable and capable cars that were pretty much a match for their contemporaries. My dad used a Talbot Sunbeam 1.3 GL for his driving school business at the same time – it was an absolutely brilliant car upon which to learn to drive. Simca probably has the best reputation (in France) so my guess is that’s the brand we’ll see, unless PSA create a new brand (which would probably be a mistake). Yes, according to this China Car Times article, SAIC Motor has just launched Maxus in China. The vans’ Chinese name is Da Tong which may be a bit wacky but it’s nice to see the spirit of LDV back. I wonder whether SAIC Motor has any plans to bring Maxus back to the UK. Who’s this at the top saying Talbot should be a luxury brand? I’m sure the real money will flock to a brand last seen on horrible crummy rot-prone delivery vans and plastic-laden eyesore motorhomes. Anyway, if I was PSA and had to choose between Simca, Talbot and something new I would spend all of five seconds on the decision – it’s like agonising over what apron to wear while cooking a meal. What does it matter though? It’s not as if they’ll be built here. Everything’s gone now, pretty much. 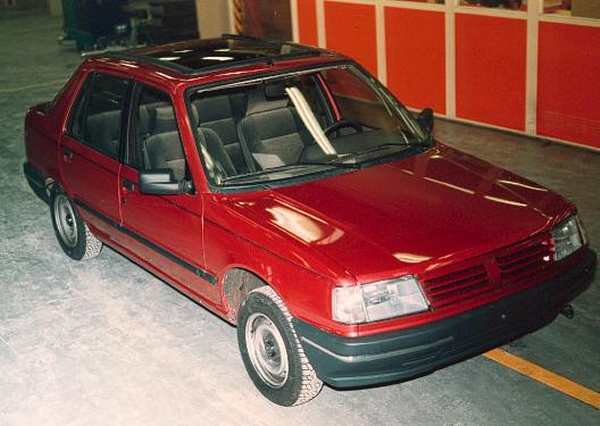 Well, if PSA made a big saloon/hatch in the vein of the Xantia/405, gave it a simple XUD diesel engine and cut out all of the mostly broken electrics, I would consider it no matter whether it was called a Simca, Talbot or, even, a Chana. I knew I read about this somewhere else previously. See: Talbot brand to be resurrected, Auto Express, 9th July, 2010. I’m absolutely with you as far as the Talbot heritage is concerned. Simca or Sunbeam should do nicely (Hunters were sold abroad as Sunbeam Arrows). Incidentally, V8 Sunbeams were Tigers. Britain: Bristol dying in a tiny marketplace for British-owned automotive products. That really says it all about the respective nations’ approaches to long-term investment and manufacturing. You should think TATA !! Ah, if only Tata Motors had bought LDV. Sadly SAIC Motor did! Tata bought a much better van.. The Mk1 Renault Trafic is now the Tata Winger, made since 2007. Well, apart from the bafflingly complex Albea/Palio/Siena (plus Strada pick-up) family which is built and sold in various emerging markets, Fiat Brazil’s Novo Uno is a well-executed C3 Picasso-esque makeover of the European Panda. 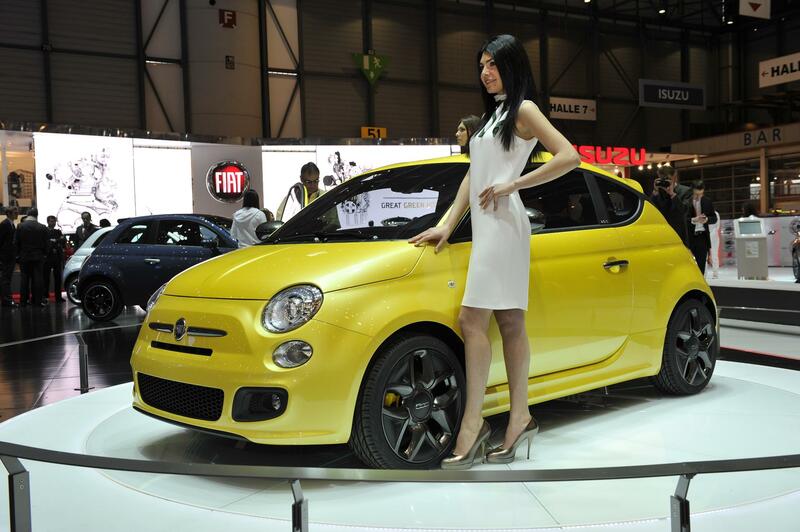 Mind you, here in Central America, Fiat’s profile and sales appear to be almost non-existent. Brilliant – what’s worse than a Peugeot? A Talbot! Well, the HS2 railway is meant to go right through the former LDV plant so it’s not like they could build them there. It’s a shame that we have lost everything, but blame fellow Brits for buying foreign cars. Why be so down on SAIC Motor? They support a couple of hundred people in engineering, design, manufacturing, sales and marketing etc, at a small plant which can’t produce a range of cars from scratch (thanks to St Modwen). It’s better to support them as MG Motor is, effectively, a brand new company and needs to grow – we can’t expect miracles. One day they may invest in a new factory (I hope so) to produce cars and, possibly, vans, but they won’t right now – there would be no point. Lol Peugeot aren’t too bad, my dad’s 406 TD is on 255,000 miles and is so reliable – his Talbot vans were equally as reliable. Why be so down on SAIC Motor? I just meant that, based on past evidence, we can assume that Tata Motors would have been rather more likely to have kept LDV in business as a going concern than Lift, Shift & Co who bought them up instead. Please let it be Simca – those Dacias are all over France. Wouldn’t it be great to see the Simca badge used again? The former LDV plant is being demolished to make way for a railway? That’s a shame because that used to be the Wolseley factory. Sadly, that, like Talbot, is forgotten and it looks like most closed factories – not just car and van ones – are gone to make way for progress. I figure they are not historic enough. I have never driven any Talbots – apart from learning to drive in a 309 diesel during 1995 – but I remember seeing the odd Wolseley 1800 on the go with its glowing front light badge and also Talbots appearing in the scrapyards as the 1990s rolled on. Yep, they started demolishing it a while ago. I think there could be videos on YouTube. It’s a shame. I think the question is already answered in the article. Simca is pretty much registered world wide as a trademark. Talbot isn’t. Why, if PSA were going to call it either would they choose Talbot? What possible reason would they have for calling it a Talbot? Neither name means anything to anyone but classic car enthusiasts though, these days. Everyone seems to be saying how the PSA-era Talbots were badly made. However,the same is said about French cars in general, but they still sell millions of vehicles worldwide and make a good profit doing it. It amuses me though that some people will avoid buying a Peugeot/Citroen because they’re badly made French cars but, instead, then buy a Ford which is powered by an identical engine. There are even rumours that Renault may bring the Lada brand back to the UK. I’ve seen a few Kalinas and Prioras and they are pretty well spec’d up, with plenty of whoppee cushions,ABS and, shock of shocks, power steering and leccy windows as well as modern, 16 valve powerplants. I also remember the Dacia Denem (the old Renault 12 with quad headlamps). That went down like a lead brick. I think that, for Europe, Talbot is a definite no-no though. The reputation for cars that rattled and rusted the second they left the showrooms will still remain strong here. Simca could well be the way to go and would probably go down a bomb in France as they loved their Simcas. Skoda are releasing a cheap car too shortly as a rival to the Dacia Sandero – it may possibly be called the Felicia (the third use of that name?). The Felicia was the car that turned Skoda sales round in the UK. I believe there will be a strong market for cheaper, brand new metal in this post-credit crunch period. Oh, how Auto Express irritates me as well. Every week there seems to be a bad photoshop picture, usually claiming to be the next Ford or Vauxhall. They are NEVER right. Auto Express is The Sun of the car magazine world. Brilliant, I am not alone! I would, though, have compared Auto Express to the Sunday Sport – both have the same amount of t*ts except one pretends to be a serious piece of journalism! The Talbot Alpine was a shocking car, but I am sure it won CoTY. Surely, as both brands already have the C1 and the 107, they are already ‘budget’ brands? I don’t see that there’s a need to create another brand to sell cars under – unless PSA plans to sell the cheaper cars under the new brand and move the rest of the range upmarket. The trouble is, we all know that ‘upmarket’ and Peugeot Citroen don’t go together (XM, C6, 605, 607 anyone?) Likewise, Renault and Dacia… I just don’t get it. You’re right about the Alpine – it was ECoTY in 1976, when badged as a Simca 1307/1308, with the BMW 3 Series in second and the Renault 30 in third place (See: http://www.caroftheyear.org). I would think it a good idea to resurrect Simca as a budget PSA brand to rival Renault’s Dacia; certainly more so than Panhard which, being closely associated with Levassor, surely has far too much automobile history to be a ‘budget’ brand. Anyway, prompted by the picture at the top of this article and having run them as company cars in the late 1980s-early 1990s, I must say that Peugeot 309s are probably one of the most underrated cars ever made – the ride and handling was vastly superior to any of its contemporaries and, while not as attractive as a 205 or 405, it was at least not unpleasing to the eye and not an utter minger like the entire Peugeot range at the moment (apart from the 107, which isn’t just a Peugeot). Hopefully, the 508 heralds a new visual dawn. Oh, and James, have you forgotten about the Citroen DS – has any other car had a philosopher eulogise about them? Being pedantic: no it didn’t. The CHRYSLER Alpine and Horizon both won CoTY – and, at the time, they were competitive cars (nippy, economical and more comfortable than the slow, thirsty RWD stodge being offered by most manufacturers). However, by the time they became Talbots, they were up against tougher opposition. Agreed, back in the days of the DS, Citroen was a classy, innovative manufacturer but several generations have been and gone since then and so has their image, being tainted by all their discount deals, budget marketing, shabby showrooms and poor reliability. I don’t really see how a sub-brand would fit underneath them? Well, Peugeot couldn’t bear to have Citroen remain the premium brand, thought its dull 504 Estate reskin would make an M-B class product and pushed Citroen into the role of making the sort of entry-level rubbish that Talbot made. However, now with the bizarre DS sub-brand, something incomprehensible is going on. Some of the Peugeots were, at least, decent to drive and look at. I think they’ve destroyed themselves too with their hideous, poorly-suspended recent junk, so need Citroen to rise into the premium role. Simca or Talbot? Who actually cares? The only hope is that the yoof/impoverished have forgotten the depressing junk with which they were associated – their only saving grace was to make BL/ARG’s junk look pretty reliable and well-made by comparison. The shame is that there was some good design/engineering in the 1960s. Unforunately, they were still using it in the 1980s with considerably worsened BQ. I used to sell Chrysler/Talbot cars in the Seventies and well remember the awful Horizon/Alpine range with their rattly tappets and ultra-low geared steering which still managed to stay heavy somehow. Sorry, how foolish of me. Didn’t John Noakes launch Talbot with some hot air balloons? I thought Richard’s point was quite an interesting clarification, not an insult. There do seem to be some incredibily touchy people on here these days. I remember the balloons but don’t recall Noakes. However, I do know that Petula Clark sang about wanting to “put a Chrysler Sunbeam in your life”. I also recall an advert where a selection of Talbots drove around a banked racetrack in formation. I remember the Petula Clark advert well. I can’t imagine any agency coming up with that advert today – simpler times. I’m pretty sure on Noakes though but will check YouTube to see if my memory is playing tricks on me. Hope my last comment didn’t offend – I was being lighthearted. Gosh, yes I remember that advert! Why? I’ve just had a massive flashback. Wasn’t it for a white Sunbeam? I bet it’s on YouTube somewhere. Well, if I remember correctly, the Sunbeams “launched” out of railway boxcars into a desert setting (with a rising/setting sun?). I think I might be thinking of the Alpine or Horizon ads. Petula Clark is on YouTube complete with a Poodle Perm and Sunbeam! It looks like this was launched as ‘301’. Peugeots strategy was not to launch a new sub-brand, but rather to stretch the Peugeot brand. x01 vehicles, such as the 301, are those aimed at developing markets. x08 vehicles (the 309, and generation after that being the x010 scuppering plans for Peugeot to traditionally increment the last digit) are those aimed at the western mainstream, and given the warm reception to the 208, 308 and the underdog (good looking in facelift form) 508, seem to be getting their act together again. Citroen has also spawned a dual personality, with the main Citroen brand being for ‘distinct’ vehicles such as C-Cactus, and DS spun off as it’s own premium brand to fight the Germans in a way that the A4 aping C5 never could. Rode in the 301’s platform mate (the Citroen C-Elysee) as a taxi in Lisbon last year. 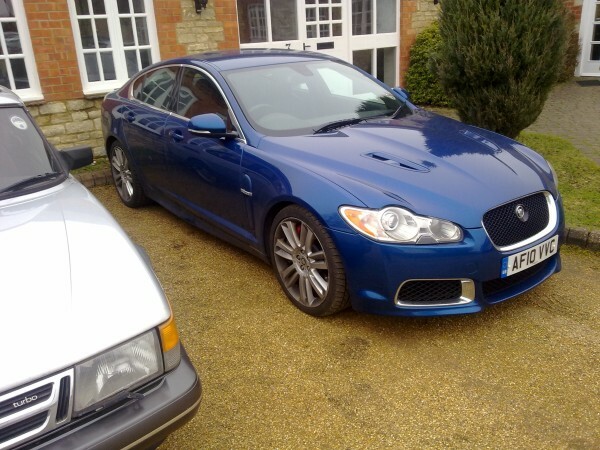 It looked OK on the outside, and certainly didn’t look like a “cheap emerging market car”. Amusing read. Interesting what hire car companies place in classes, last year I wanted to rent an ‘Astra class’ hire car, and instead was handed a Mokka, which the rental desk guy insisted was some sort of ‘upgrade’. It was slow, gutless 1.4 engine, the ‘suggested gear’ mechanism was annoying, it had less bootspace than an old Citroen ZX and thanks to the tonka truck huge C pillar styling, headrests and small rear window, rear visibility was nil. Relying on the parking sensors. Having a car myself with GM parking sensors I thought I’d got the hang of it, once it starts sounding like a flatlining patient in a medical drama then that’s it close. Nope. Went out and there was still at least 3 foot of space. It did have a decent DAB radio though. Ok maybe don’t revive Talbot, but what about Panhard which Citroen took over in the sixties? I don’t know why they can’t just call the new brand Horizon, which sounds optimistic, as Simca and Talbot mean very little to anyone under 45 and certainly those over 45 will probably not have overly positive opinions of both marques. I’m sure, from the Talbot era, PSA will have the rights to the Horizon name anyway.